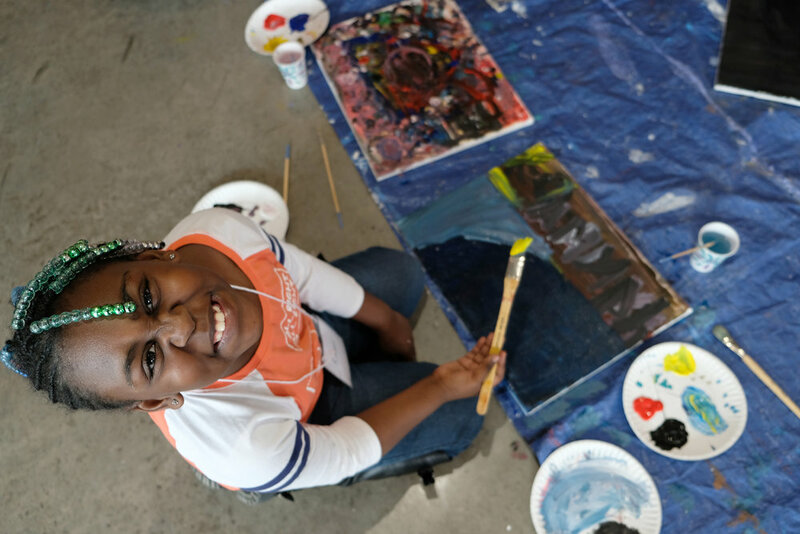 Point of Contact’s multicultural arts education program, EL PUNTO Art Studio, presents a multilingual experiential art studio workshop for youth between the ages of 6 and 14 in Syracuse, NY. Designed by Punto de Contacto – Point of Contact, this contemporary art seminar is facilitated in collaboration with local and guest artists and through partnerships with community-based organizations over the course of several weeks. These activities culminate in an installation of the work produced. This installation will feature a reception for the students, parents, and the general community. The reception will be free to the public and refreshments will be served. El PUNTO 2019 offers a combination of artistic disciplines such as drawing, design, painting, and musical storytelling. Students will be able to transform conceptual ideas into the language of various mediums, to tell narrative stories in imaginative ways. Using auditory, visual and literary arts, students will be able to collaborate in an immersive program that allows them to celebrate their unique imaginations and storytelling abilities. The workshops will culminate with an exhibition of the participant’s final projects in the beginning of May at La Casita Cultural Center. To sign up for EL PUNTO 2019 fill out the form below, email pointofcontactgallery@gmail.com, or call the Point of Contact Gallery at (315) 443-2169. Does El Punto have permission to take pictures of your child? Does your child have have any food allergies? If so, please list allergies.